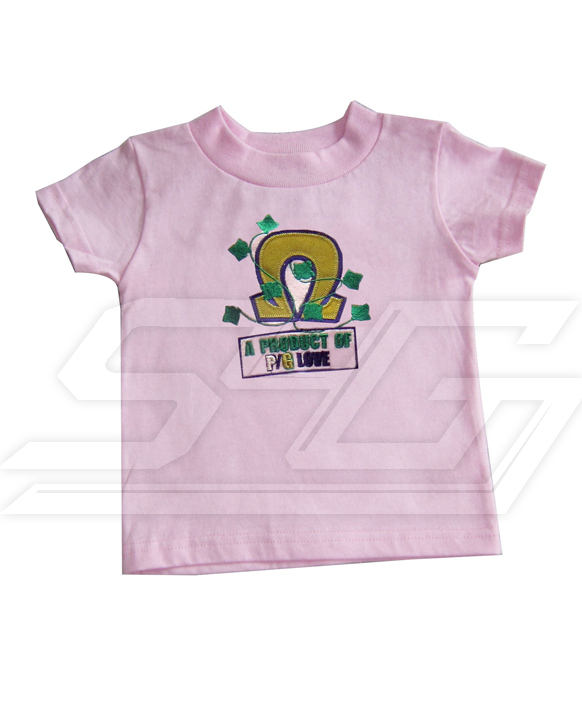 Comfortable t-shirt with a fun design that your little one is sure to love. High quality t-shirt with front embroidery. 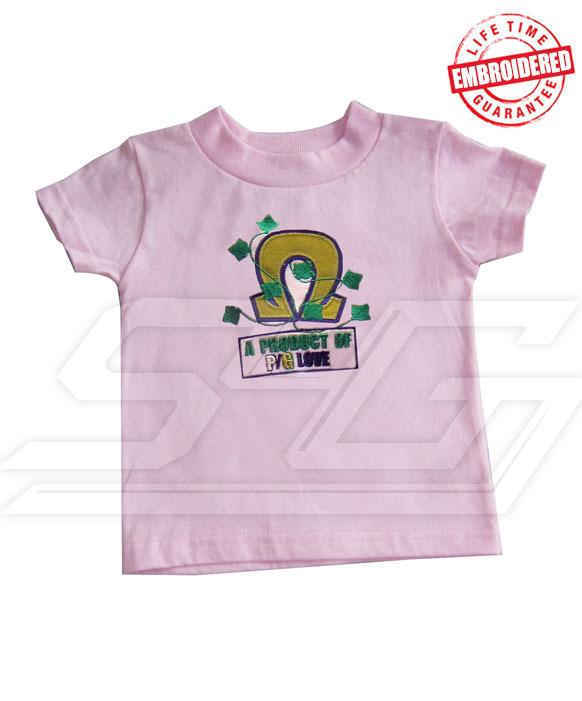 Pink t-shirt with pink, kelly green, gold, and green letters.